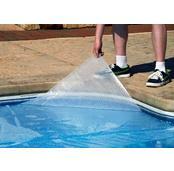 Low Profile Solar Pool Cover Reel. Non-corroding aluminum solar pool cover reel fits under most diving boards. FREE SHIPPING! Try our Low profile easy to use solar reel! Non-corroding aluminum solar pool cover reel fits under most diving boards. 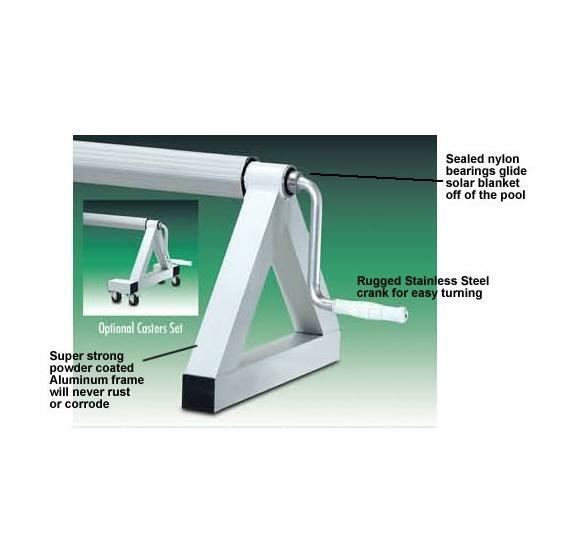 Engineered for smaller hotel and motel in ground pools, this solar pool cover reel is designed for heavy use. 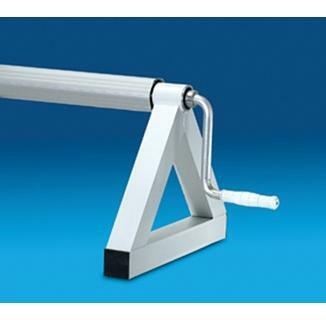 Its powder-coated heavy gauge aluminum frame is super strong, lightweight, and will never rust or corrode. The large stainless steel crank with handle at one end makes turning the solar pool cover reel easy. Precision sealed bearings allow a single person to effortlessly glide the solar pool cover off your in ground swimming pool. Our premium solar pool cover reel is built with a heavy-duty tube* that will not sag or flex. It will support solar pool covers up to 24-ft. wide by 50-ft. long. Standing only 12" high, this low profile solar pool cover reel can fit under most diving boards for easy storage when not in use. Includes all straps and necessary hardware. Base and frame are aluminum. 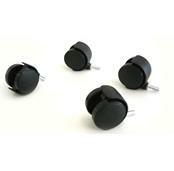 Optional locking casters can be added for easy portability.